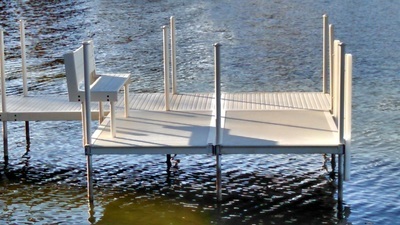 Solo Dock Tip-In Docks -- Easily Installed By One Person Without Getting In The Water! Tip your dock in next spring! 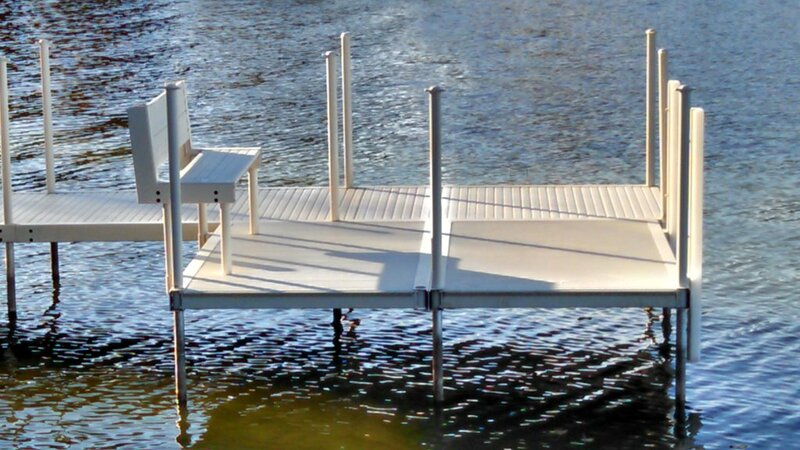 Solo Dock Flex Features Two Removable Poly Deck Panels. * Quiet aluminum - almost no noise when dogs and kids run on the dock - due to solid decking and one-piece design. 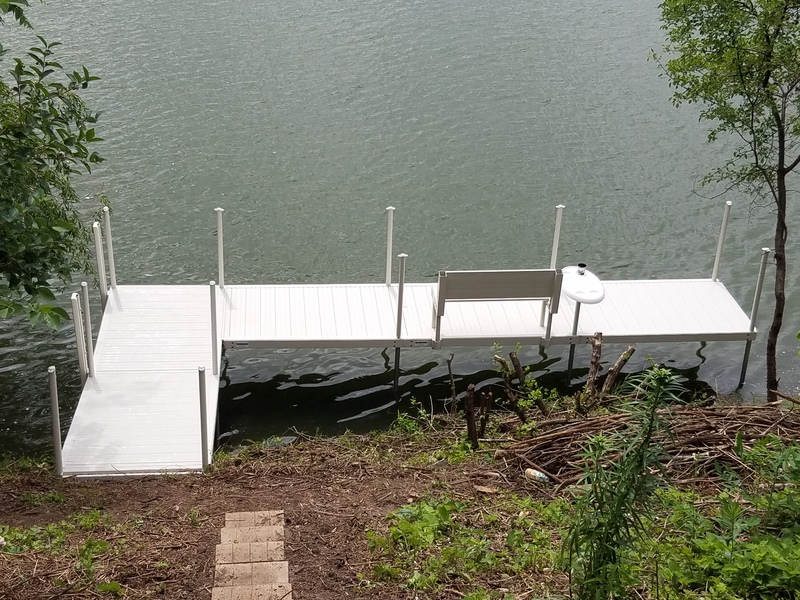 Other companies' docks are noisy when the separate deck and frame move against each other. * We ship nationwide and internationally. Watch our latest video, which shows how a Solo Dock hinge is extruded. Click on the photo below to see the video. 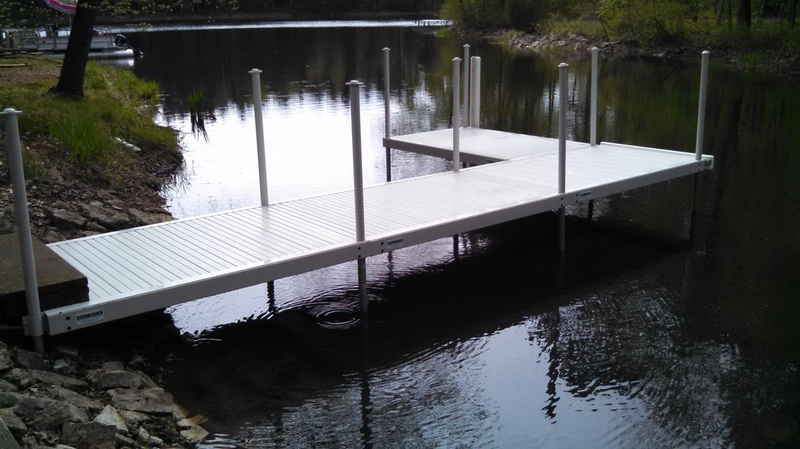 Make transporting dock sections easier in spring and fall! 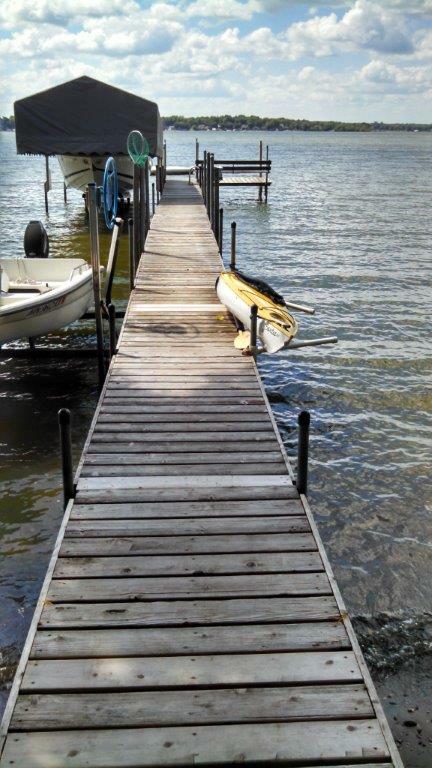 Use the Solo Wheeler from Solo Dock to transport your dock sections or decking back to shore. 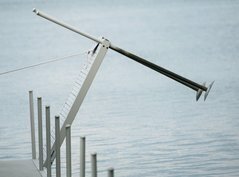 Adjustable, universal design. 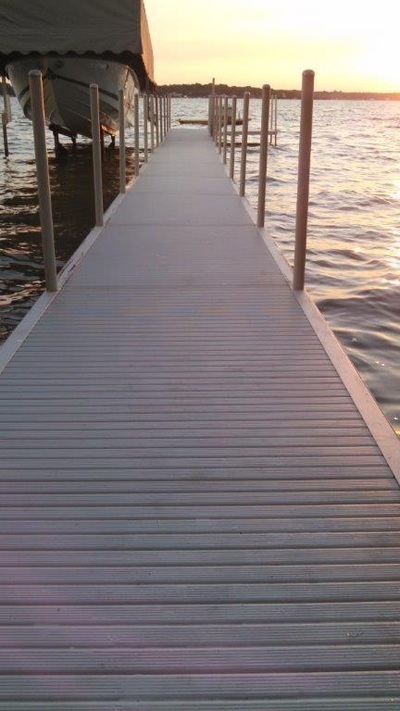 Installation is simple -- install two aluminum posts with footpads on one end of the 6 foot section, carry or wheel the section to the end of the dock, stand the section on end, align the full length aluminum hinges, and simply tip it into the lake. 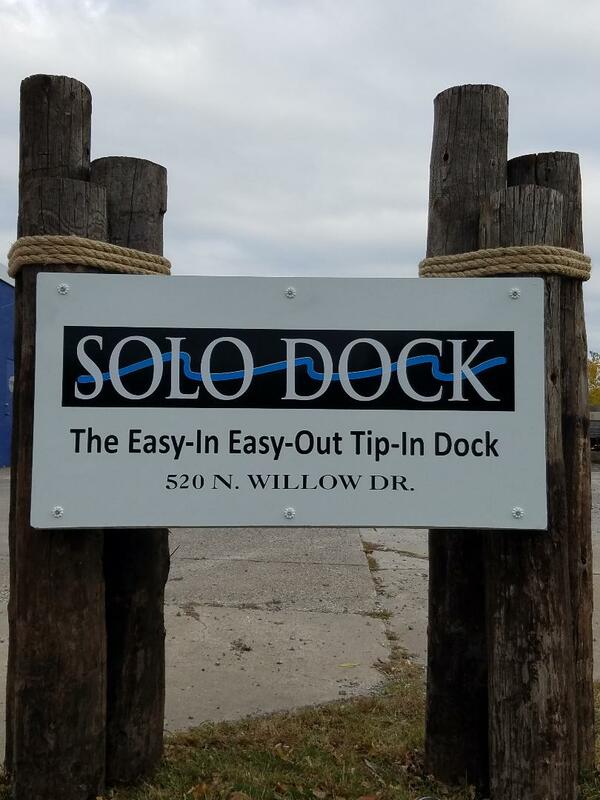 The only tools required are a small leveling winch, a T-handle wrench, (both available from Solo Dock) and a level. Call us at (952) 472-3953 for more information, a demo or a quote.